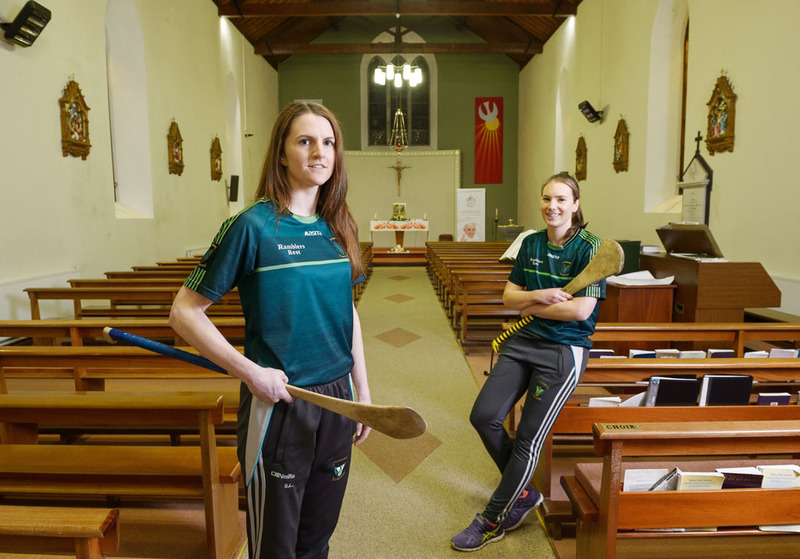 First thing's first... Siobhan Lafferty, who is set to be married in Kilnamona church in December, pictured with her sister and bridesmaid, Fiona, who have a Munster final to play before they walk up the aisle. Photograph by John Kelly. GIVEN that one of the Lafferty sisters is an accountant and the other teaches maths, when they calculated how long they have been hitting a sliotar, their findings stunned them. Both will have central roles to play for Inagh-Kilnamona in Saturday’s Munster senior club camogie final against Tipperary champions, Burgess-Duharra, in the Gaelic Grounds at 2pm. Siobhán, who is part of the finance team at Zagg International in Shannon, is team captain at full-back, while Fiona started at full-forward in their semi-final win over Inniscarra from Cork. Their mother, Margaret, has been ever present since they first swung a hurley. “The first time I was involved, we went to Ruan for an U-11 blitz. She was in charge of that team and she has been doing it since,” Siobhán said. “You’re fairly old now so,” Fiona butted in. “Thanks for getting that out there. I’m 30, so I guess that’s 20 years of Margaret being involved,” Siobhán surmised. Fiona had to acknowledge that she does not trail her sister by much age-wise. “I’m 28. We’re around a long time,” the St Joseph’s Spanish Point secondary school teacher confirmed. Siobhán won the first of her six senior championship medals 18 years ago. “That was in 1999. I came on as a sub that day. I was 12. We won four in total. I played with Deirdre Ryan, whose daughter Laoise now plays. I remember one year, when we won with Kilnamona, the final was on in Roslevan. In the parade, Aoife Keane [now a team-mate] was holding hands with Fiona and I was holding Sineád Quinn’s hand,” the elder of the Laffertys noted, confirming that she is indeed around a long time. While captaining Inagh-Kilnamona in a provincial final is enough to be thinking about this week, Siobhán has another fairly big date next month, when she gets married. “There’s a lot on the to do list at the minute. It’s getting pushed out week after week. You just have to be organised. I don’t think it would be any different if I wasn’t playing camogie,” she maintained. Camogie-wise, Siobhán and Fiona have received plenty of support at home. “Except that one time,” Siobhán interjected, recalling an incident while hurling out the back as a child, with her brothers Cathal and Damien. “Siobhán was a late developer on the GAA field,” Fiona said by way of providing some context. “I was told to go back inside and do my knitting and that I’d never be any good at anything. That was the message from a close family member,” she detailed years later. Both played hurling with the boys up to age of 12. “We all started with the U-11 ground hurling tournament on a Sunday evening,” Siobhan recalled, while Fiona remembers working on her shooting in the garden. “I broke the main kitchen window one year. Straight through it and I ran off down the field. Mam was at the sink. She was grand. You’d be trying to chip the ball over the garage from a sideline cut. You’d be saying there was another slate for dad to fix. Eventually he just gave up and he’d wait until the winter. “We used to play football and soccer matches in the kitchen in the evenings too,” she recounted. Fiona started her teaching career in Monaghan, working at Ballybay Community School for six years, while playing football with Donaghmoyne. As for camogie, there wasn’t much of that. Fiona played club football in Monaghan but continued to play camogie with Inagh-Kilnamona. The travelling didn’t help her touch. They love their native parish and think that around 1,000 people live in Inagh-Kilnamona. “I’d say you’re looking at 350 people in Kilnamona,” Siobhán estimated. “I love the way you’re picking numbers out of your head,” Fiona laughed. 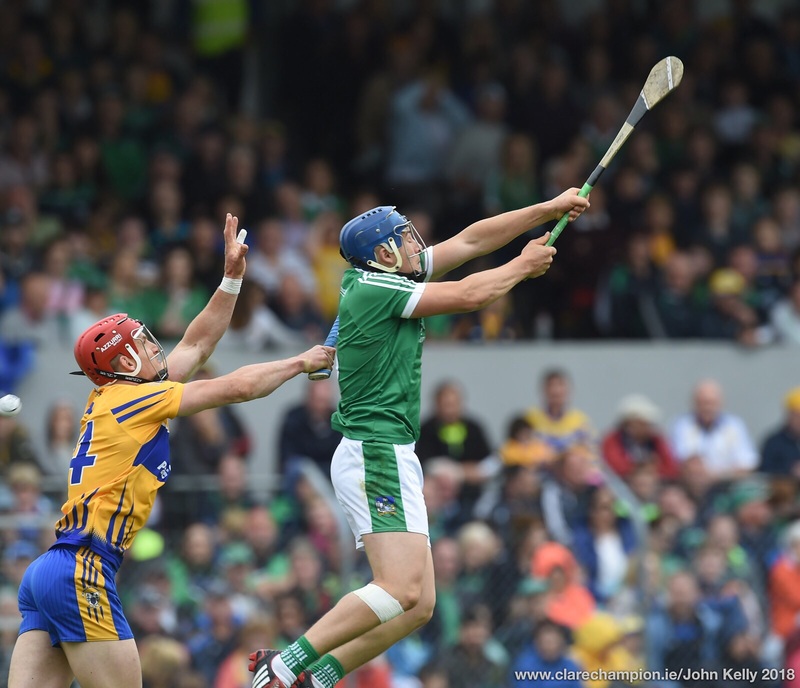 “The evening of the county final they organised a truck and we were all up on the back of it. When we were playing with Inagh, it was mental the night we went back with the All-Ireland junior in 2011. The pubs were absolutely wedged. There is huge support,” Siobhán said, trying to ignore her sister. She worked in Perth for three and a half years, played camogie with St Gabriel’s and returned 19 months ago. She liked it down under, but not enough to stay there. “You either make the move home or try to settle there and that was never going to happen,” Siobhán said. “The group of restaurants that I worked for went into voluntary liquidation this week. It’s sad,” she reflected. Camogie in Australia was good fun but not of the highest standard. “It’s slower. You have more time on the ball and stronger players excel because a lot of the players play for the social side of it. It’s more of a social thing out there but it’s still the same slog. It definitely doesn’t rain as much as here but you’d still be training into the winter. 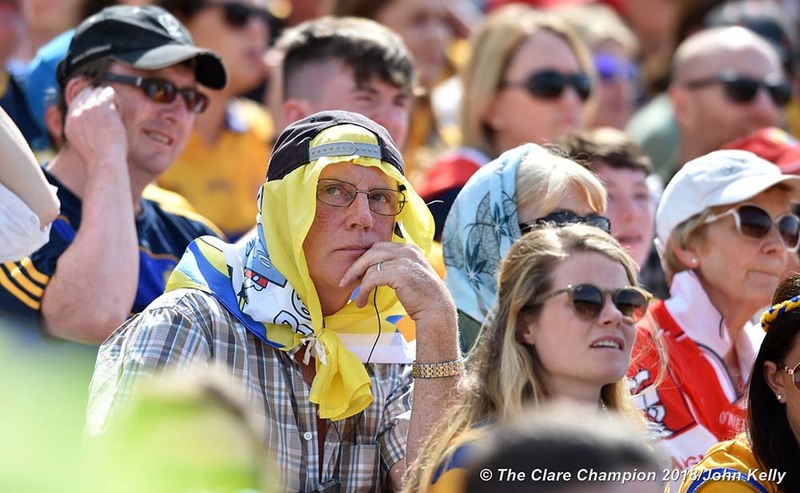 Back in Clare, Siobhán says the pace of the game has increase significantly. “You have to be fitter to play the game now than you had to be 10 years ago. The skill level of the girls and fielding has also improved. But there is still loads of room for improvement. “I think striking is one of the things that needs to be worked on by all players across the county. Unless we can rectify that, I don’t see us winning All-Irelands at county level. I’m talking about long striking at club level and getting long distance points. We’re behind other counties in that particular skill,” she finds. Both won provincial and All-Ireland junior medals with Inagh in 2011. Inagh and Kilnamona subsequently amalgamated but all involved six years ago are very keen for a senior provincial medal. “We don’t want to have any regrets when we leave. Who knows what can happen,” is how Fiona Lafferty phrases it.